Postcard for a group show Ha-Cha-Cha! 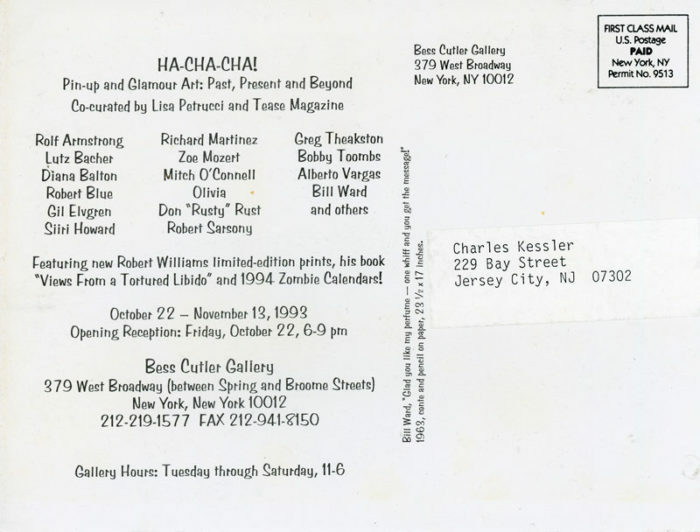 Pin-up and Glamour Art: Past, Present and Beyond co-curated by Lisa Petrucci and Tease Magazine at Bess Culter Gallery, 1993. Front of card features Bill Ward’s Glad you like my perfume – one whiff and you get the message!, 1963.